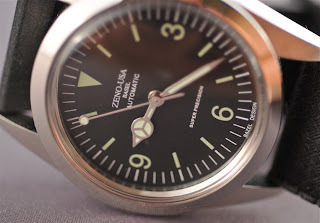 This is my review of the ZENO-USA ZN-001 Army Watch. Well that is the name given on the instruction manual. First, this is not the ZENO-BASEL version of the watch. This is the Japanese version (homage) of the watch. From my readings, ZENO-USA has no relation to ZENO WATCH in Switzerland. 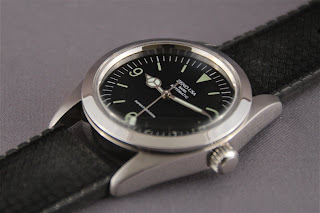 It is my understanding that these watches are produced in Japan from Zeno parts using Japanese movement. As such I would label this watch as a homage to the original ZENO WATCH Explorer. 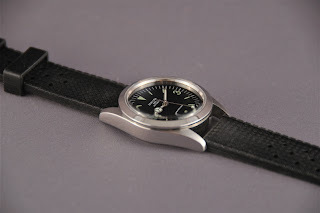 The original watch was issued fitted with the popular Miyota 82XX series movement. Later models were fitted with ETA 2824 movement. This can be identified with the words 'Swiss Made' below the 6 o'clock index marker. We however will be reviewing the homage model. Of course this model is also a homage to the Rolex Explorer, more so the Model 1016. The watch seems well made (and it is). The case is made of stainless steel and has a nice profile. It has a polished and brushed finish. The polished areas are well polished, as is the brushed areas. The brushing is uniformed across the brushing and I am impressed, considering the price of the watch. 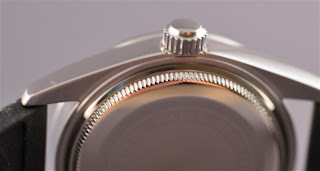 The brushing on the top of the lugs follows the profile of the bezel. The case side is polished. 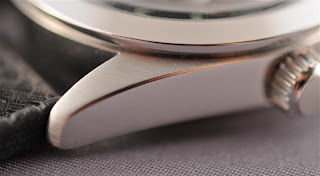 The bezel is also polished. The finishing on the case is very good. The sides are well chamfered and is very uniform across the chamfer as can be seen in the photograph below. 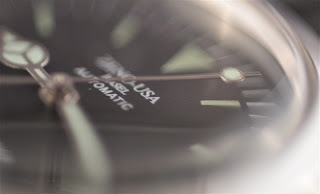 The bezel is well design and flows with the overall design of the watch. Note the beautiful brushing on the lugs. 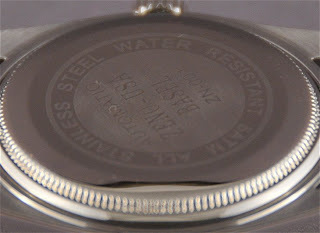 Quality and good workmanship can be seen on the back of the case. Just look at the brushing on the lugs. If there is any complaint on the case, it would be the lugs. The insides of the lugs are not chamfered and is rather sharp. However this is only a problem if you decide to remove the bracelet and wear the watch with other straps. 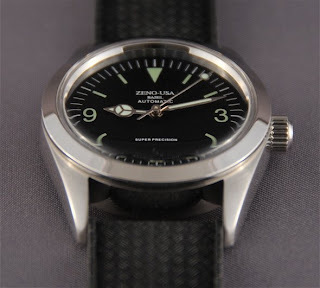 I initially wanted to wear this watch with the 'Bond' NATO strap but I realized that Bond did not wear an Explorer. As such the watch is currently fitted with a Tropic strap. While it matches the watch, the water resistance rating of 5 ATM means that using a Tropic strap is pretty moot. The lug width is 20 mm. This opens the watch up to a host of strap possibilities. I have had the watch fitted with NATO strap, Mil Spec strap, the original bracelet and now the Tropic strap. 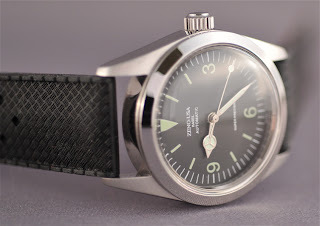 In fact I believe that this watch should not be worn with the original bracelet, but with a good NATO or ZULU or Mil Spec strap. 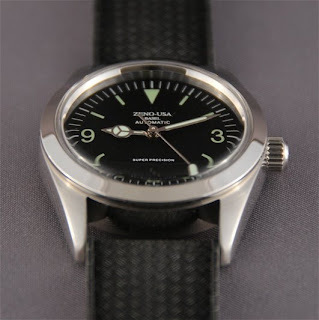 This watch would even look good on the 'Bond' or 'Regiment' NATO strap. The other complaint I would have on the watch would be the screw-down crown. The crown itself is not the problem. 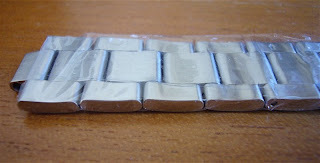 It is large, at 5.5 mm in diameter and 3 mm thick, it is a pleasure to use. There are no shoulder protector for the crown. The problem is the stem tube. The quality is suspect. The possibility of cross-threading the crown is a very real. I have to be very gentle and careful when I screw-down the crown. It takes 2 turns to screw down the crown. The crown is unsigned. It is also polished. The stem tube. To overcome the possibility of cross-threading, I have applied some silicon grease on the stem. This provides some protection as it acts as lubrication on the thread with the additional benefit of water proofing the watch (OK, very little at best). The other point is the height of the watch. It is 14 mm thick. For a small watch, it is indeed thick. I do not know if the Rolex Explorer is just as thick. I do not understand the need for the watch to be this thick. I suspect it is due to the Acrylic Crystal fitted to the watch. It does stand out. So for those who likes slim watches, may want to try out the watch before buying it. The screw-down case back is also well executed. It is polished throughout. 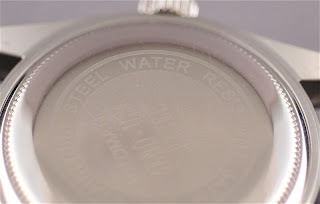 In the center, laser etched (I think) is the all important manufacturer data, model number, water resistance rating. The case back requires a special tool to remove ala Rolex. While this does stop people from removing the case back, it does prevent me from removing the back to verify the movement used. The ridges ala Rolex on the case back to facilitate removal. Even these are well executed. This watch comes fitted with the Miyota 8215 calibre. I cannot verify this as I could not remove the case back. I base this on the instruction manual. There have been many articles written on the Miyota, hence I will not say too much. You can refer this great article on the Miyota and how it performs against the ETA 2824 below. However, I have to say that the sound of the rotor is rather loud in this watch. I suspect it is due to the design of the case that amplifies the sound of the rotor. I have 2 other watches that have the Miyota 82XX movement and it is not as loud. It does remind me of the ETA 7750. I have to say that I love the dial. I like watches that have matte dials. This watch has matte dial. This type of dial makes reading the time in sunny weather easy. There is basically no reflections. 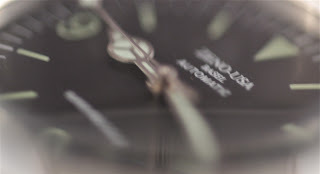 The dial is of course based on the Rolex Explorer. The 12 o'clock is marked by a huge triangle and you have the 3, 6 and 9 marked by Arabic numerals. The rest of the hour are marked by index lines. The hour markers are lumed but the luminosity is really bad. It will glow for about 15 to 30 minutes, tops. I do find the minute markers a tad too long. The minute markers are not lumed and is rendered in white. 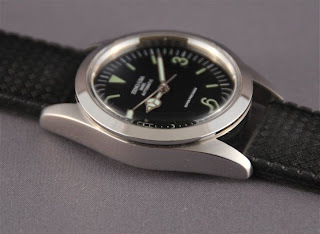 The markers are slimmer in this watch as compared to the original ZENO Explorer. 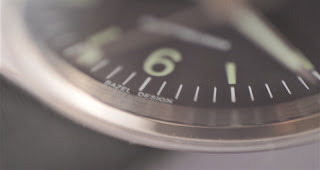 The rest of the dial design makes reading the time very easy as there is not much in terms of writings. Just below the 12 o'clock marker you have the ZENO-USA signature. Below that is 'BASEL' and below that 'AUTOMATIC'. This minimalist approach makes the dial less cluttered. Above the 6 o'clock marker is 'SUPER PRECISION'. I think we have to take this with a pinch of salt as the Miyota 82XX calibre is known to wonder around -20 to +40 seconds a day. Below the 6 o'clock marker, we find the wording 'BAZEL DESIGN'. Spelling error maybe? Who knows. Overall, the minimalist approach and the small script chosen makes the dial a winner in my books. 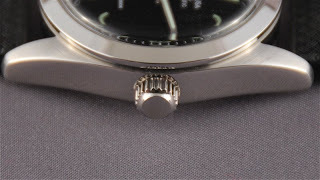 The hands are similar to the Rolex Explorer in that it is the sports hands design. The hour hand sports the Mercedes hands. The lume on the hands is a great improvement over the dial. In fact it last about 2 to 3 hours. The finish of the hands is good for a watch in this price range. 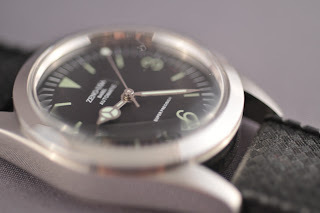 The polish finish is even across the hands as is the lume. The minute hands extends to the minute markers which is great. You don't find this is many watches. This makes reading the exact minute easy. My only complaint would be the second hand. The luminous dot is too far down the hand and makes the hand looks unbalanced. This is further amplified by the fact that the second hand does not have the circular 'counterbalance' on the other end. It would have been better to position the dot about 2 mm further up from its current position. 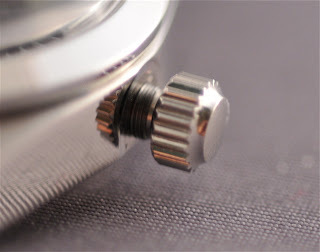 This watch is fitted with hardened Acrylic. I figure this means that it is more scratch resistant as compared to normal Acrylic. The use of Acrylic is a throw back to the 60's. This is fitting for this watch as it is from that time period. The crystal is domed. I believe it is much taller as compared to the Rolex Explorer or the original ZENO (based on photographs available on the Internet). The use of Acrylic is also good as scratches that appear on the crystal can be polished off. I removed the bracelet when I got the watch. It is not that the bracelet is in anyway bad, but quite the opposite. It is just that I find that the watch calls for it to be fitted with othe rtypes of strap. 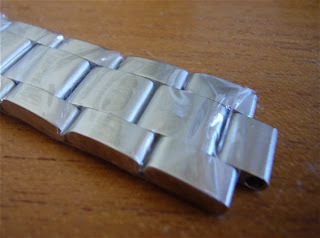 The bracelet is made of solid links of stainless steel. The links are brushed and the sides, polished. The bracelets tapers from 20 mm down to 16 mm. The clasp is unmarked and is very basic. However, the quality of the bracelet is beyond the watch price range. The end pieces are hollow. Bracelet length adjustments is via push-pins in the links near the clasp. As you can see from the photographs below, the bracelet is unused. As stated earlier, I am currently using this watch with the Tropic strap. I like it. It looks great. It may not be a sports watch, but I have taken my bath with the watch. This watch is currently available over the Internet for about USD100. Stock as I understand it is rather limited. For the price and what you get in return, I have to say that this offers great value for money. You get a watch that has a classic look, a good reliable movement and great overall quality. It even comes in a little green box. True that the watch is not the real thing, but as a daily beater, it is great return on investment. I own this exact watch. Bought it on the web a couple of years ago. The stem tube is suspect, as I broke it off of the case and it is stuck in the crown. Any suggestions on how to repair? Welcome to the blog. 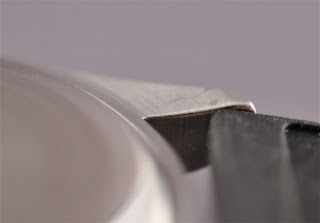 With regards to your question, a good watchmaker should be able to replace the stem tube for you. It is not a difficult process. Welcome to the blog. 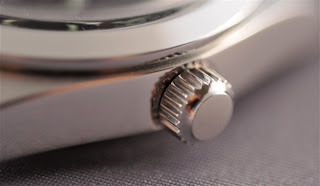 With regards to your question, try posting a WTB (Want To Buy) on popular watch forums and you might get lucky.